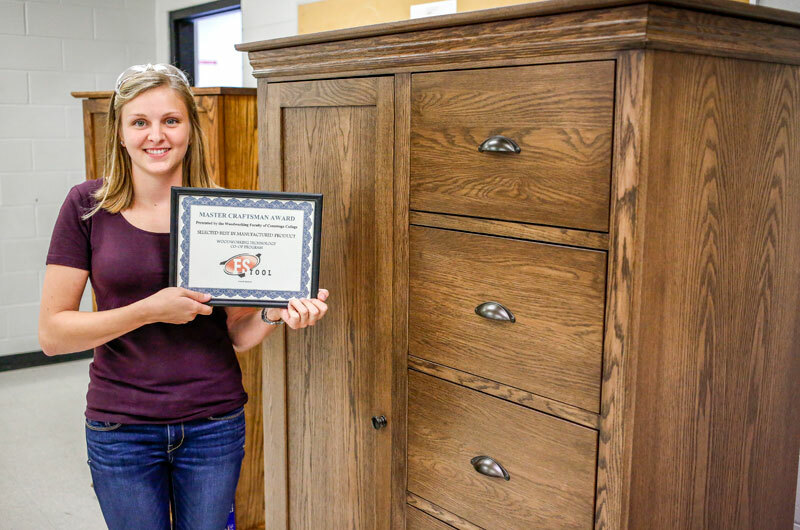 Last year Heather Cummings won first place for an armoire crafted from red oak and maple, and stained with fumed oak. It’s time again for Conestoga College’s semi-annual Woodworking Student Showcase which will be held from 11 a.m. to 1 p.m. on Thursday, Aug. 16. Some 17 projects will be on display at the Woodworking Centre of Ontario, all designed and constructed by the college’s current Technology Class. 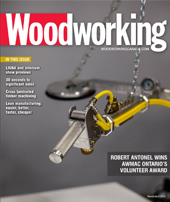 The faculty team and staff of the Woodworking Centre will be selecting the top three projects. The awards will be announced shortly after 1:00pm. Students are encouraged to invite their families and friends to share this achievement on this day as well.